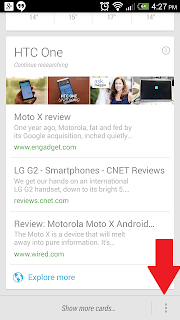 A couple weeks ago I posted on my Google+ a interesting little trick I found with Google Now. I was tooling around with the setting a little a little on my Moto X trying to maximise functionality with my voice commands when I found a way to change the voice. 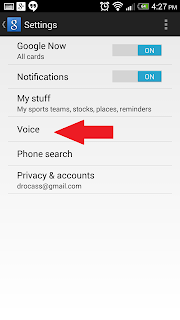 Most of us know the female voice of Google Now on nearly all US and Canadian Android Phones, but by changing our language to English (UK) rather than the normal English (US) / (CA) we get a new voice! With English (UK) we're presented with a male voice with an English accent, something similar to a talking car or gadget from a james bond film. Curious? I'll show you how to do this yourself! First you're going to want to open your Google Now. Of course you'll have to be running an Android Phone running OS 4.1 or higher to have Google Now installed. You'll want to scroll to the bottom of your page and find the menu button indicated by the red arrow. Note: You may also touch the physical menu button on your phone if your phone has one. You'll want to go in to your "Voice" options. Finally you'll click on "Language" and change it to "English (UK)" and you're done! 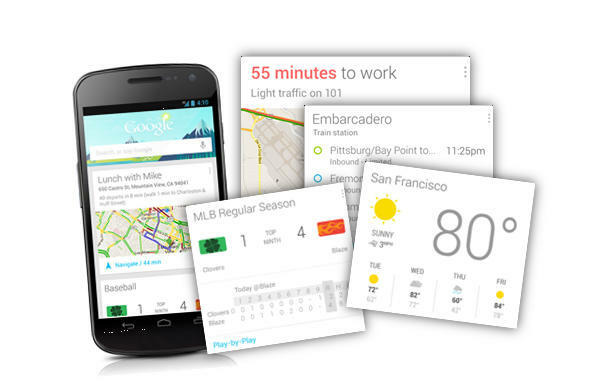 From now on you'll have a different voice with the same old functionality that you're use to. 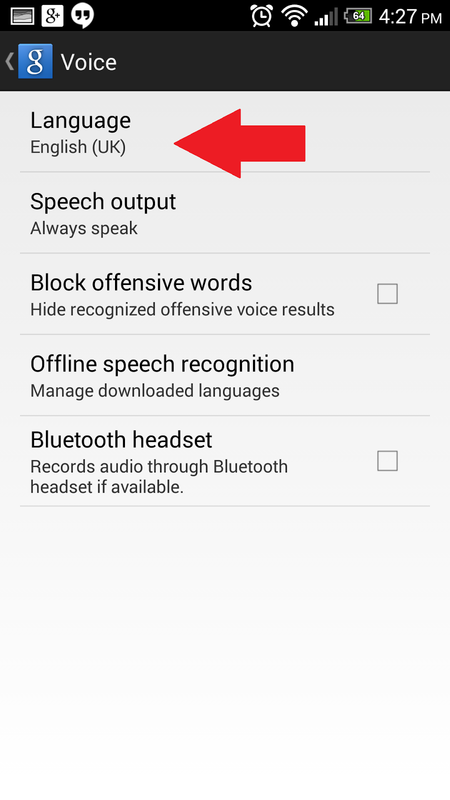 If you don't like the new voice, just repeat these steps and select English (US) or (CA) again to bring back the default female voice. 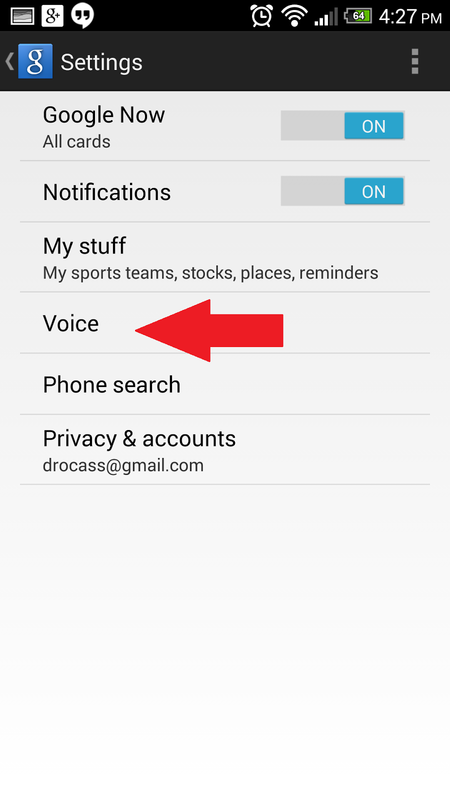 This very simple change will set you apart from your other Android friends, and get you noticed when your phone speaks in a voice they've probably never heard before.